They cost $600 for one, for two a combined total of $1,000 and whilst this may seem expensive to someone in a developing country, it is a worthwhile investment and thanks to partnerships and donors from sites like Kiva and external donors a few of these bulk startup costs are subsidised. There is also an $100 annual maintenance fee paid to Sanergy. This is for the cost of collecting the waste primarily but also goes toward general running costs. The startup costs also go towards being part of the sanergy support network and a three day training programme which teaches beneficiaries the basic skills necessary to start and maintain a toilet, when I visited the project there were 40 beneficiaries being put through their basics. There is a high demand. 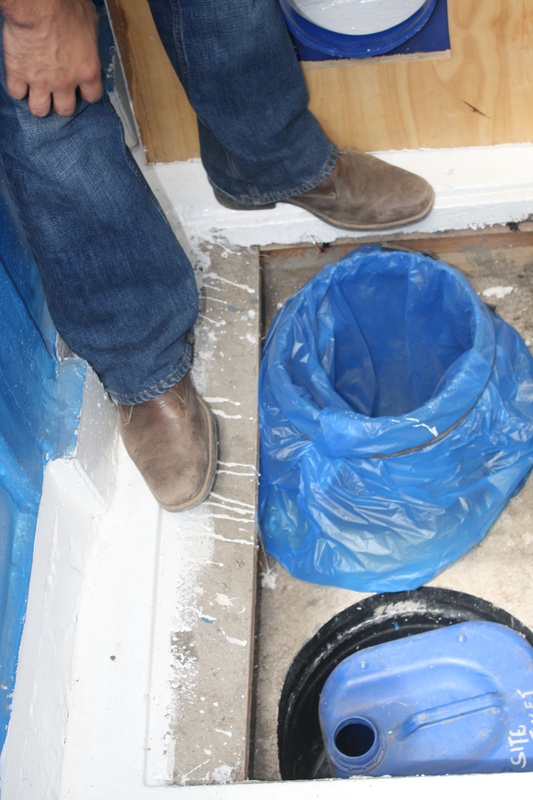 Whilst we speak the demand is such that 8 new toilets are being installed in the area every week. 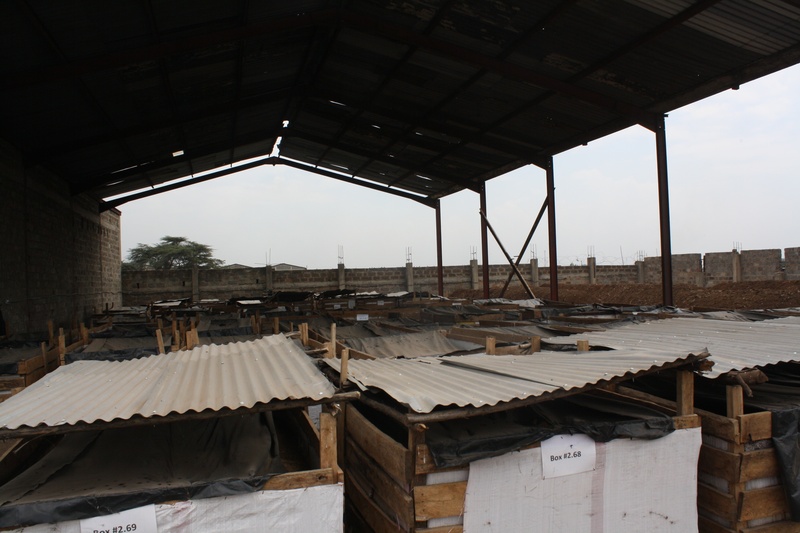 the whole toilet building process is done in the compound Sanergy work in, right in the heart of the community it serves for ease of manufacturing and distribution but also for quality assurance. How quickly can a franchisee make their money back? The general usage statistics for the slum where the project has targeted initially, works on the premise of on average 50 users a day, and due to the self ownership entrepreneurial model, the cost for an individual to use the toilet ranges from 3-10ksh per person. If you use the middle of that scale after a year the owner can usually look to recoup around $1,000 for just one of the toilets. The toilets do not yet run 24 hours a day either due to the inevitable security issues that arise for owners running their toilets at night. The statistics also don’t alter much when there are two toilets next to each other, in fact usage figures stay consistent to both toilets, with both attracting the 50 a day each. The initial plan was to create the model and sustain it within its present location as there was a relatively steady and consistent amount of people under employment (still 40% unemployed) as it is surrounded by an industrial estate that encompasses 125 factories. This has also allowed for a more focused period of learning in regards to what is best received and which aspects of the model work better than others and what can be improved on. 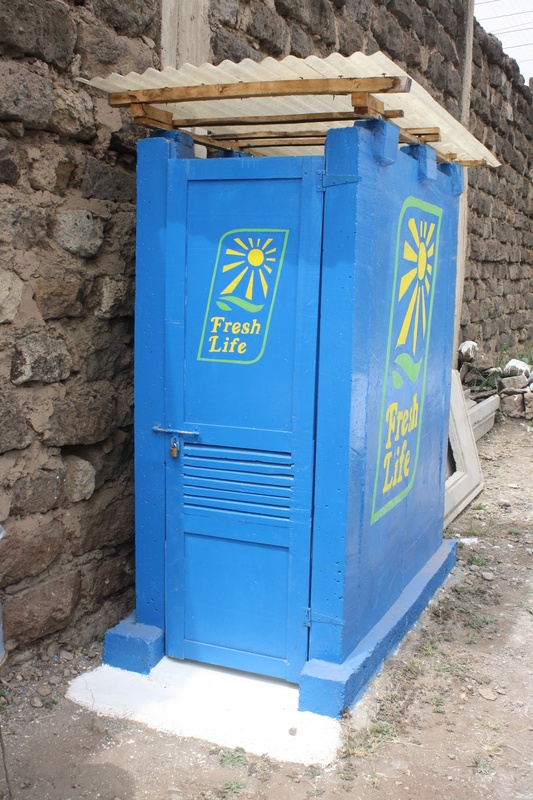 The scope and ambitions are huge, currently over 1 in 7 of the worlds seven billion population live in slums without basic sanitation facilities like this and apparently 75% of Nairobi’s population and sanergy (which is known as Fresh Life as a trading entity) is looking to expand. 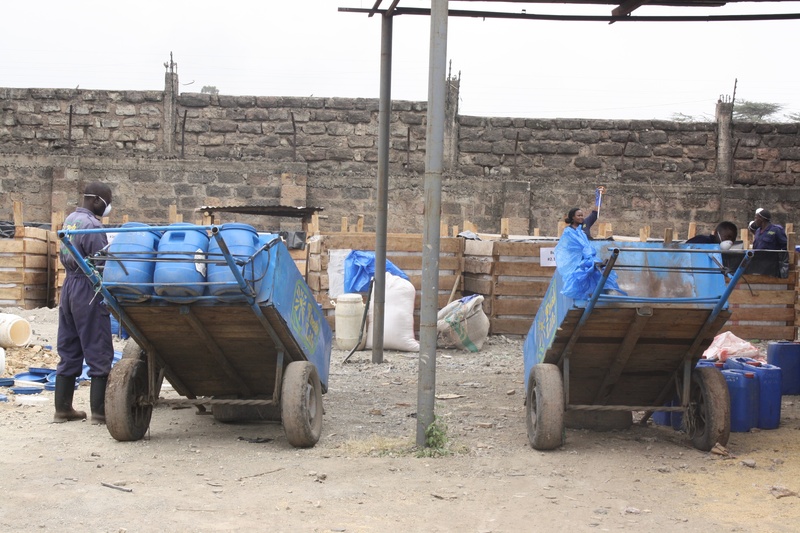 Sanergy is registered as both a not-for-profit and a business, it’s sustainability is created through managing the waste that they collect, turning it into agricultural fertiliser. Collections are made from every one of the 225 already created toilets on a daily basis. These 225 toilets are managed by 110 entrepreneurs and reach on average 110,000 people per day. 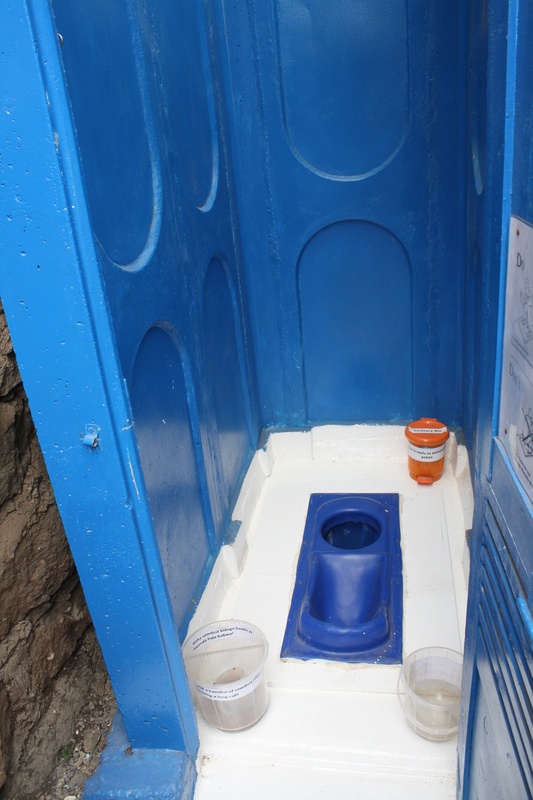 A partnership has also been created with Oxfam which has seen Oxfam sponsor 15 of these toilets to be installed into local schools which increases the knowledge of sanitation from an early age and the health risks associated. These school based toilets are also in some instances, during the school holidays used as income generators. 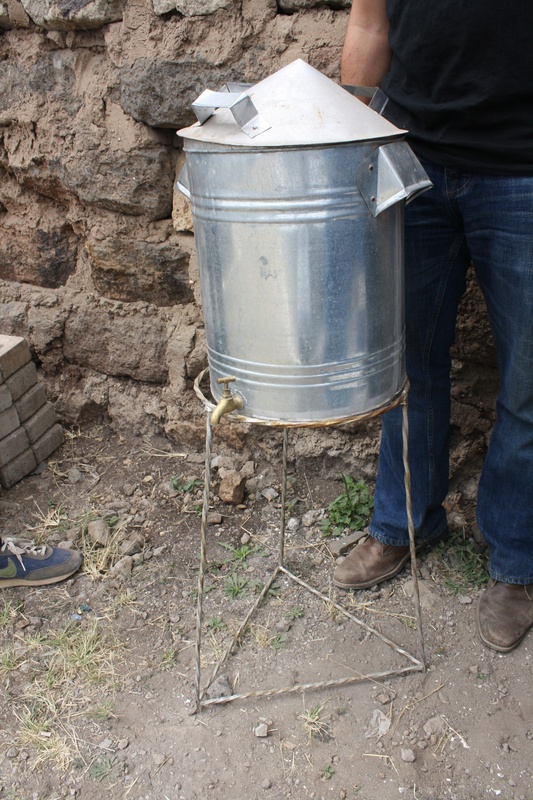 the reason for success is in the design of the main device in the middle which naturally separates the urine from the excrement and filters them into two different containers which are then managed for composting purposes by sanergy. 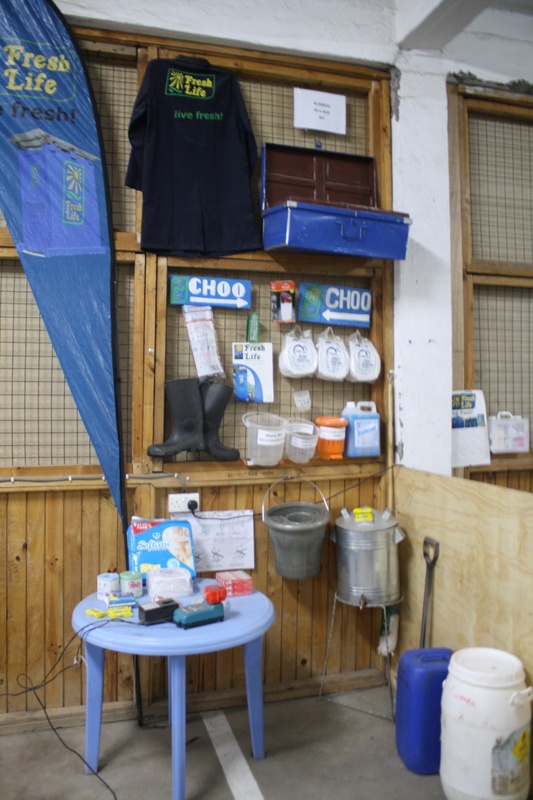 There is also due to the concrete floor, a tightly sealed squat system and retaining blocks a prevention mechanism in place which stops the toilets from flooding during the rainy seasons. This is in comparison to pit latrines which do not come with this collection and composting model and which therefore normally revolves around a hole being dug in the ground which is known to contaminate water supplies. the collection cartridges are sealed in a 2ft hole. 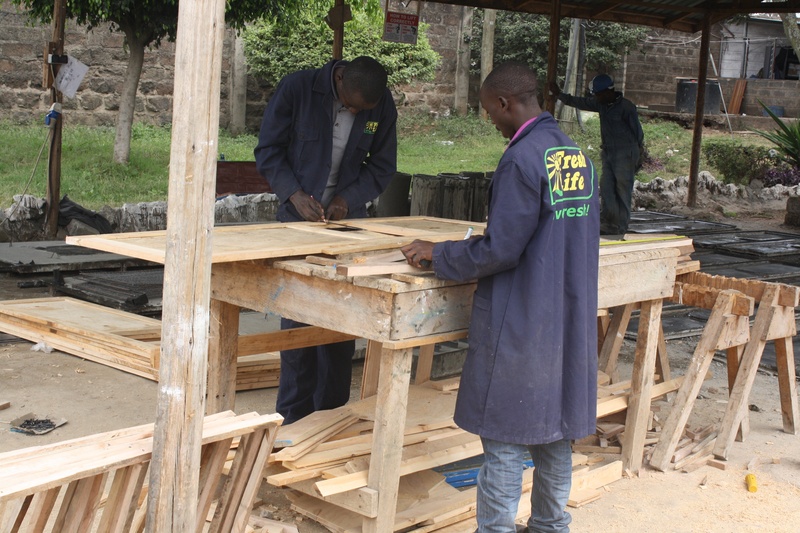 Part of the undertaking of creating a toilet is a contractual agreement which needs to be kept by the franchisee to supply soap, water and sawdust for their facilities. a water tank like this one is provided to all franchisees for each toilet. Water and soap: these are provided to increase the basic sanitation and hygiene levels of the local community and those who use the toilet. Obviously there needs to be a build up and this has started to come with time, a method of creating agriculturally useable compost has been found and links are being created to farmers willing to pay for the amount on offer. Sanergy is currently selling its compost for $300 a tonne and has partnerships at the moment with ten farms each requiring 100’s of tonnes of compost. the start of the composting process where the waste will be treated. The cost to produce a tonne of compost is around $100. The waste collected is treated with a mixture of adding oxygen, enzymes and sugar cane which naturally helps raise the temperature of the waste to the necessary 60 degrees Celsius to kill of the harmful bacteria. Before this though each container brought back from the franchisees is weighed to measure performance. The original process took upto 6 months for compost to be ready for sale, but due to growing infrastructure this is going down to less than a week. Each of the boxes above contain 5 tonnes worth of compost which as an organic fertiliser has many benefits to farmers but the main ones being improving the soil and increasing the longevity of crops. Products are being created to be sold alongside the toilets which will add an extra income revenue to franchisees and increase the hygiene based practices, with the pilot process being carried out at the moment which sees franchisees being given a chest of various essentials to help kick start their business. an example of what contents are in a new franchisees welcome chest, all products are sourced through partnerships that sanergy has created and sanergy supplies its franchisees with stock when needed. 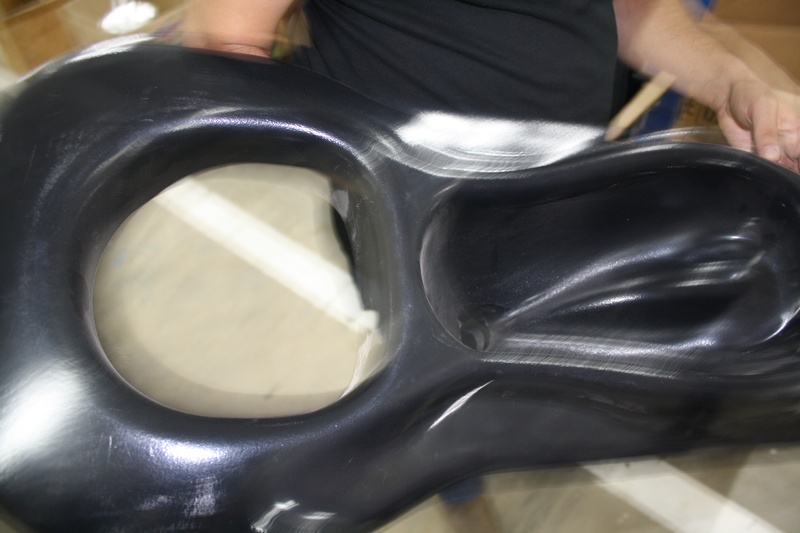 New products are also being discussed and developed at the moment which bodes well for the adaptability to varying markets with urinals being discussed, handles to be encorporated for the elderly and a squat system which has the urinal hole and the excrement hole close enough to ease convenience for women and to maintain a higher quality of pure product. a new model which is being created to take women into better consideration. And there we have it in simple terms how sanergy’s fresh life Eco toilets work. If you like what you’ve read or are interested in finding out more then do not hesitate to contact me or the team directly.